The technological singularity is the hypothesis that accelerating progress in technologies will cause a runaway effect wherein artificial intelligence will exceed human intellectual capacity and control, thus radically changing civilization in an event called “the singularity“. The advancement of technology is inevitable! so i want to be a little part of its growth. I’ve created a tool to make holography , though 3D and hologram theater exist, this is something alike but has a lot of difference, the idea came from Hologram box for advertisement , and what I created is something great that might make people want a piece of it. Like giving them their own Hologram gaming tool or a Hologram Communication tool and Sharing of information like an Intelligent library system. 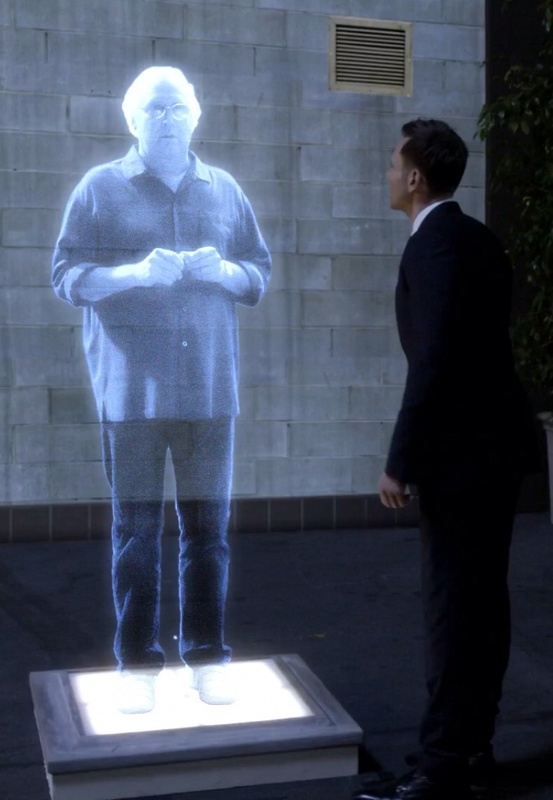 With the latest technologies hologram like these could talk to you via google voice , siri or amazon’s alexa with their own Image created from Microsoft Kinect device. Also skype or XBOX would have a great use of it. For holographic gaming and communication it is something i developed and want people or company interested in it to consult me and make this thing happen. This video of The time machine of 2002 is similar to what i am referring to. Imagine you have a call on your telephone at home and it answers you like this? (image below) Like the star trek they could talk to their computer and so we make that thing to happen, there is a hologram, it could answer your questions, it can write your to do list, it can tell you the weather, it can tell you the news. Unlike the existing holograms today, we could make the holograms fully interactive like you are really in the future, Not only that but theres something more I have and if you are interested in hologram feel free to contact me.